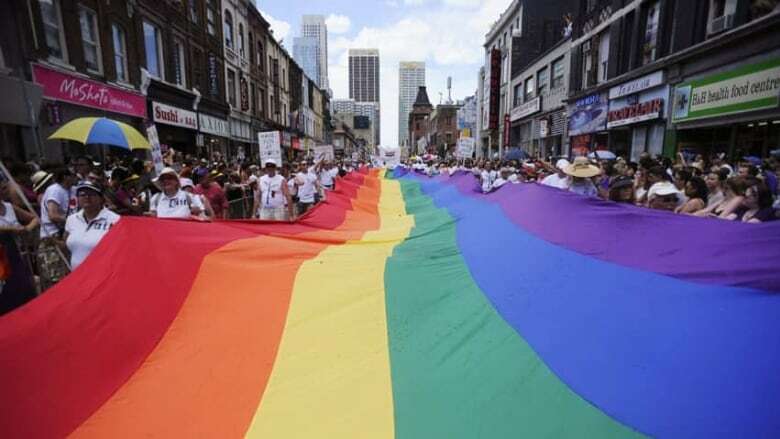 The federal government announced a $450,000 grant to help Pride Toronto develop strategies to make LGBT communities in Canada live more securely. "For too long, the [LGBT] community has encountered injustice from various institutions in our society in ways that have prevented people from living their lives more fully and contributing their strengths to our country," said Bill Morneau, federal finance minister and MP for Toronto Centre, home to the city's Gay Village. Morneau was joined by Olivia Nuamah, executive director of Pride Toronto, at an afternoon news conference on Saturday to formally commit the new money. The funding will be used for the creation of a new initiative, run by Pride Toronto, that seeks to address "institutional and systemic barriers that lead to negative outcomes for [LGBT] communities, especially those that they have when encountering the criminal justice system." Nuamah explained that the organization is taking a "two-pronged" approach. First, it will host consultations with LGBT people in cities and towns across the country to hear their concerns and personal experiences with injustice or feeling unsafe. Improving the relationship between Toronto's LGBT communities and the criminal justice system. Increasing understanding of LGBT offending and victimization (including hate crimes). Contributing to the implementation of educational and prevention tools for both victims and offenders in this community. "We are incredibly thankful," Nuamah told reporters. While he was never mentioned by name, Morneau made several allusions to alleged serial killer Bruce McArthur. McArthur, 67, faces eight charges of first-degree murder for the deaths of eight men, most with known ties to Toronto's Church and Wellesley neighbourhood. McArthur's arrest in January sent shock waves through the city and exposed deep rifts between its LGBT community and police force. Some within the community have been critical of how police have handled cases of missing LGBT people, some going as far to allege that the community's concerns were ignored by investigators.